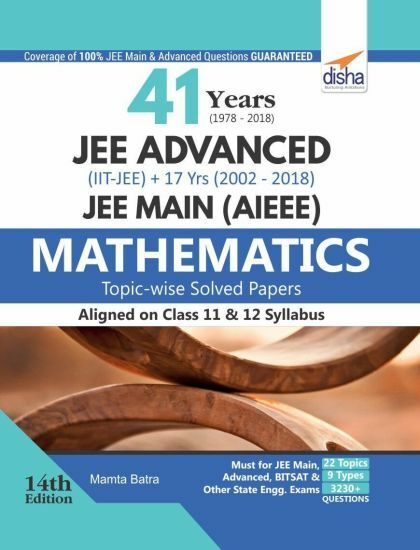 • The book “41 Years IIT-JEE Advanced + 17 yrs JEE Main/ AIEEE Topic-wise Solved Paper MATHEMATICS” is the first integrated book, which contains topic-wise collection of past JEE Advanced (including 1978-2012 IIT-JEE and 2013-18 JEE Advanced) questions from 1978 to 2018 and past JEE Main (including 2002-2012 AIEEE and 2013-18 JEE Main) questions from 2002 to 2018. 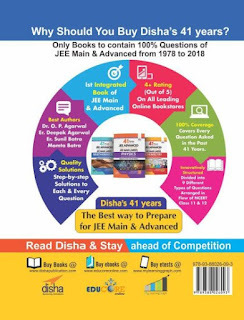 • Each chapter divides the questions into 9 categories (as per the NEW IIT pattern) - Fill in the Blanks, True/False, MCQ 1 correct, MCQ more than 1 correct, Passage Based, Assertion-Reason, Multiple Matching, Integer Answer and Subjective Questions. 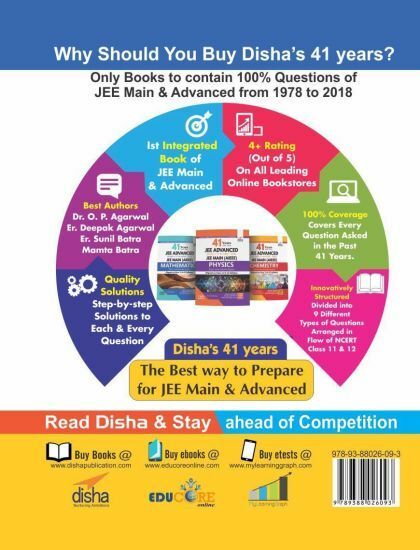 • Detailed solution of each and every question has been provided for 100 percent conceptual clarity of the student. Well elaborated detailed solutions with user friendly language provided at the end of each chapter. • The students are advised to attempt questions of a topic immediately after they complete a topic in their class/school/home. The book contains around 3280+ MILESTONE PROBLEMS IN Mathematics.